Here are some tips that will really help out the last version of the PT-19, made in China. 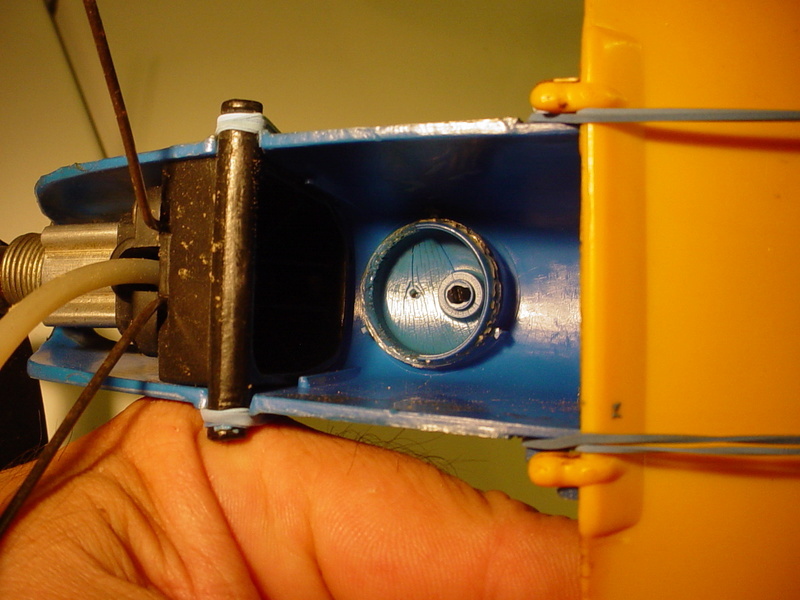 Remove the plastic flash using an emery board from the upper half of the clam shell hinge in the rudder, do the same for the fuselage . This ensures the elevator does not bind and flops down on it's own weight. Check the elevator for any flash that would cause it to bind as well. 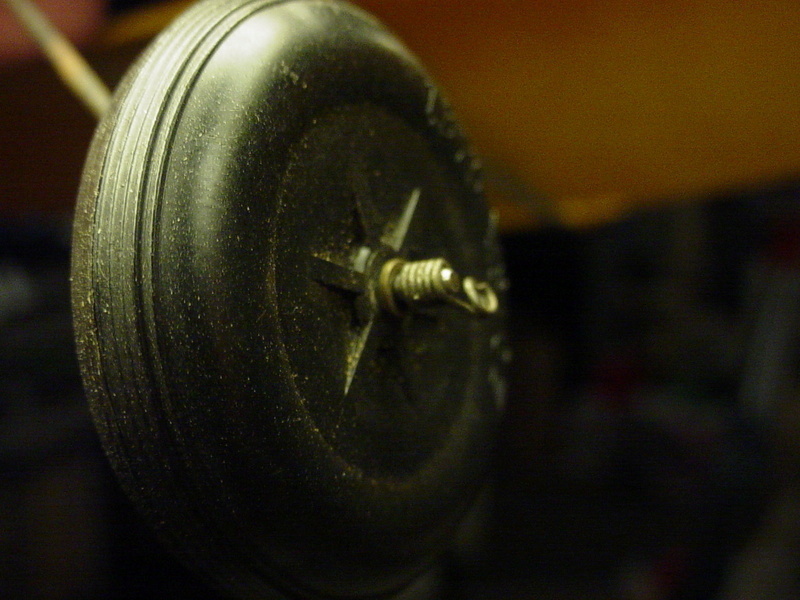 The push rod is trapped under the bell-crank and binds, to fix that, remove the bell-crank screw and bell-crank. 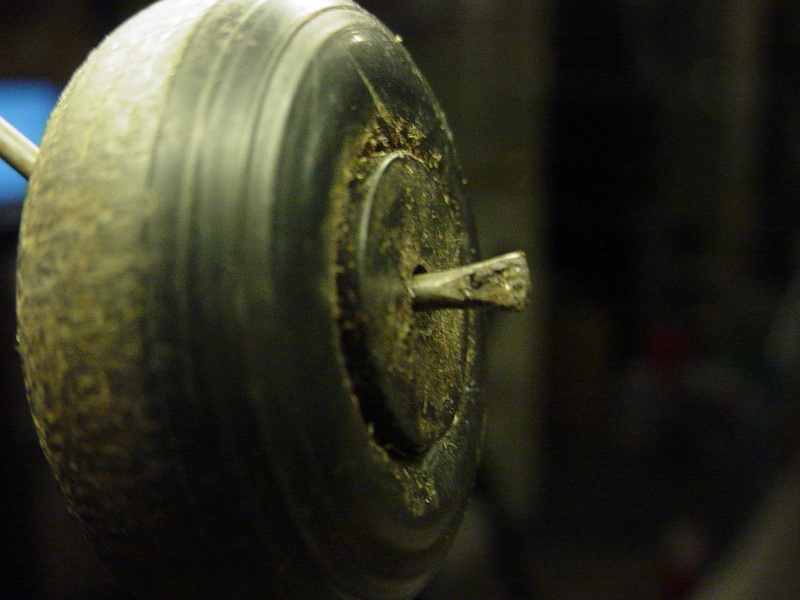 Remove the push rod wire and re-install it in the bell-crank so that the push rod sits on top of the bell crank. You need to have the push rod removed from the elevator to do this. 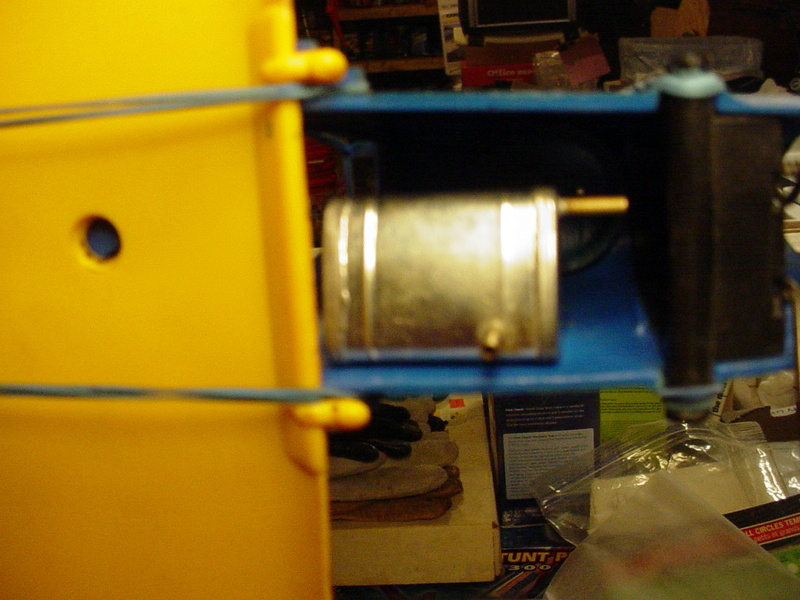 Replace the push rod in the hole closest to the elevator for more control/stunt. Perform the engine prep as I outlined in the engine forum under Sure-Start, be sure to orient the tank pick-up to the outside of the circle. 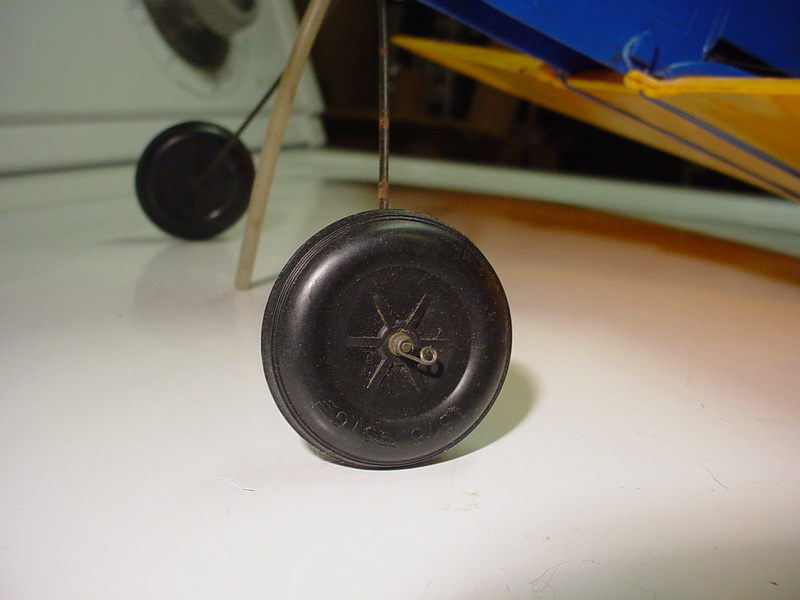 Remove any burrs from the wing lead out holes. 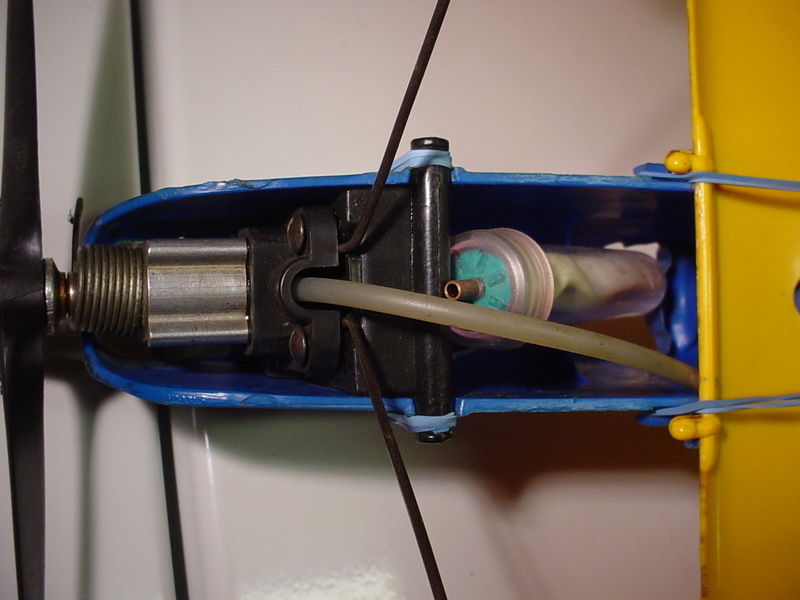 Use a single length of Spiderwire (Spectra) to loop through the control handle and tie to the bell crank to obtain 42 foot lines. The Spiderwire is much lighter and thinner than the original Dacron lines and less drag. With these few tweaks, the PT-19 is a blast to fly, and I run the engine at a clean 2-cycle to insure plenty of line tension and help it through loops. Bend up the ends of the wheel axles to prevent the sharp crimps on the axle ends from boring through the plastic hub of the wheel and coming off. Good stuff Jay! 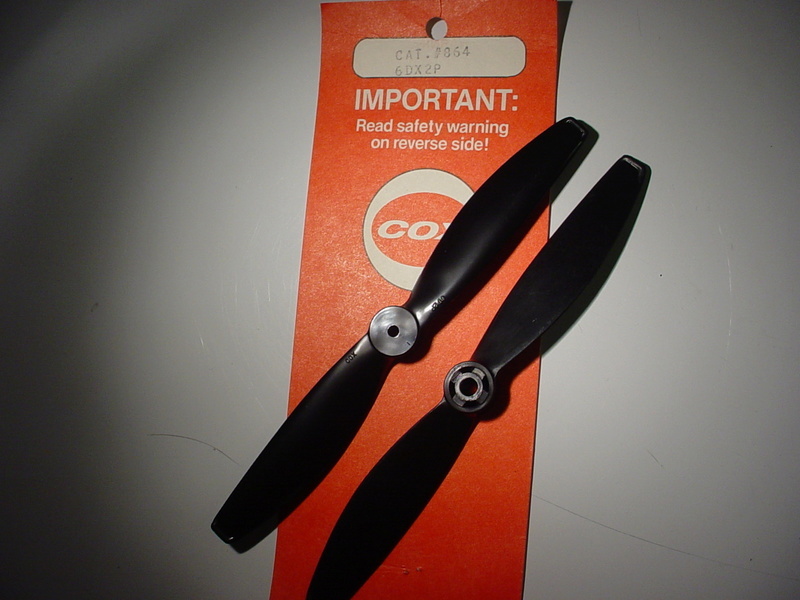 Do you fly yours with the 6 x 2 "L/H" prop? 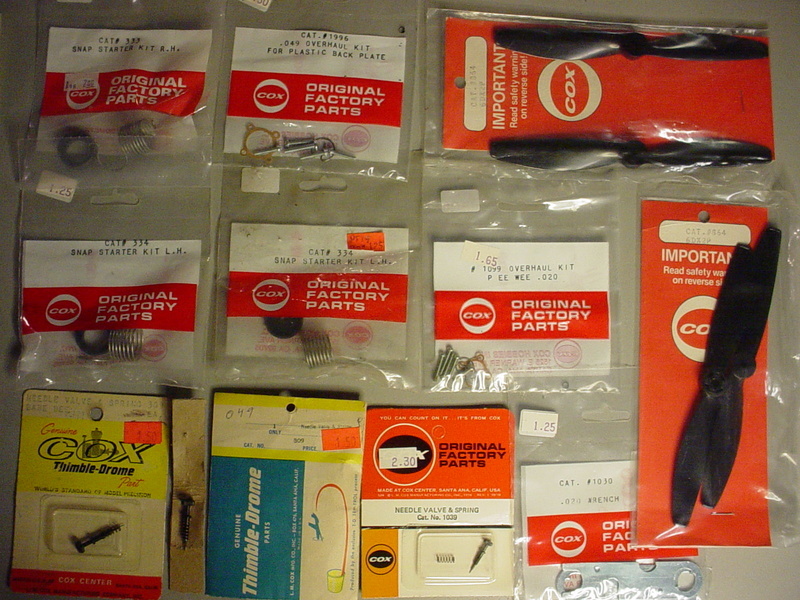 I scored some of those props and some other OEM Cox parts when an old LHS closed nearby to me. The owner found them in a box in the back-room.. 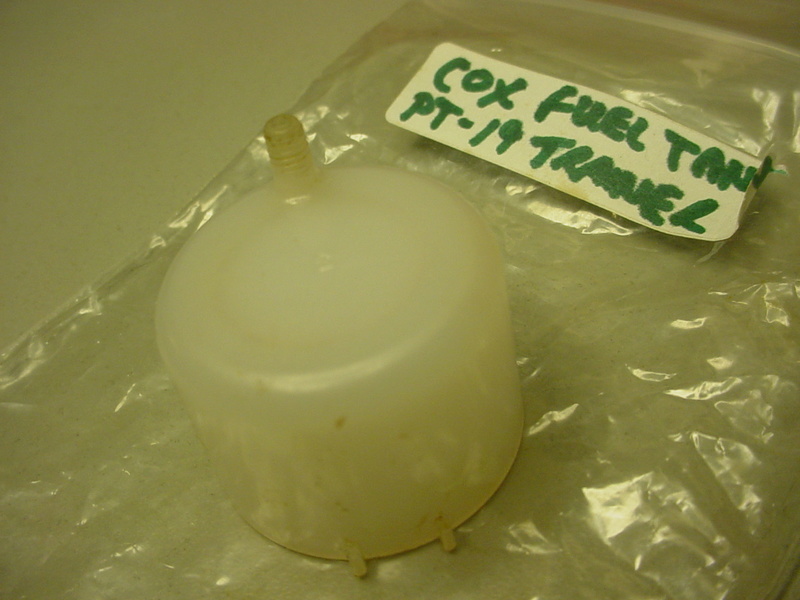 I'm on my 2nd PT-19 fuse.. and the fuel tank-bowl won't stay snapped-on/seated. I tried gluing.. but it wouldn't hold. There's plenty of room inside the nose and behind the firewall for running a different type of tank.. so I'm not worried about it. 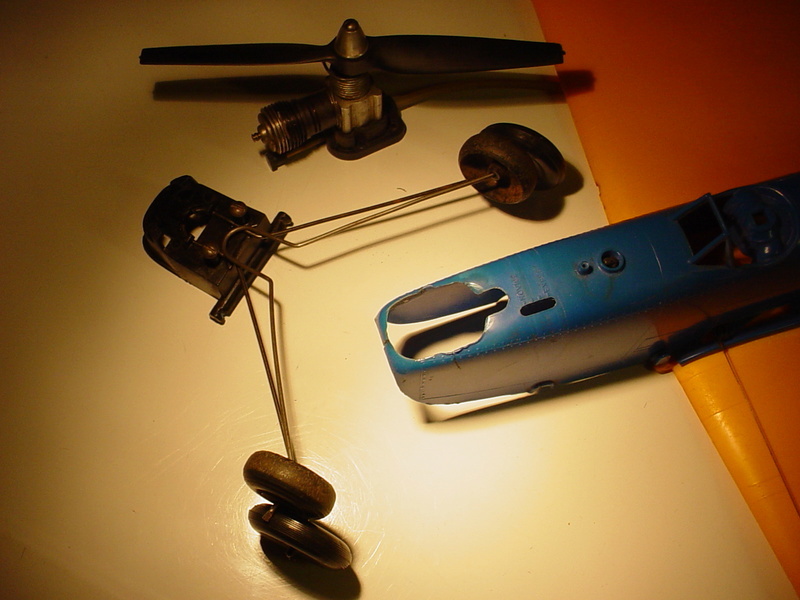 I bent-up new landing-gear-legs for mine.. (same .062" wire) and installed a pair of "Sig" 1/2A wheels (slightly larger 1.375" dia.) with Goldberg-style spring-collars. It helps a little with R.O.G. take-offs from a grass-field. I've had a LOT of fun flying this model.. and will check for any mold-flashing at the stabilator.. as you suggested for smooth operation. Good tips, Jay. I'd like to add, the pushrod wire is awful thin on the PTs I've had. Consider using a thicker piece of music wire that has less flex. Or go all out and make a CF tubular pushrod.